The artist is Professor Otto Poertzel (1876 — 1963), who signed this piece along with RuM for Rosenthal und Maeder of Berlin. Poertzel was a German visual artist, who received numerous commissions for portrait busts of various members of the Saxe-Coburg and Gotha family in the 1920s and 1930s. The seller had described this bust as having been originally part of a noble German estate, so this could very well be a likeness of one of the Saxe-Coburg and Gotha family members. 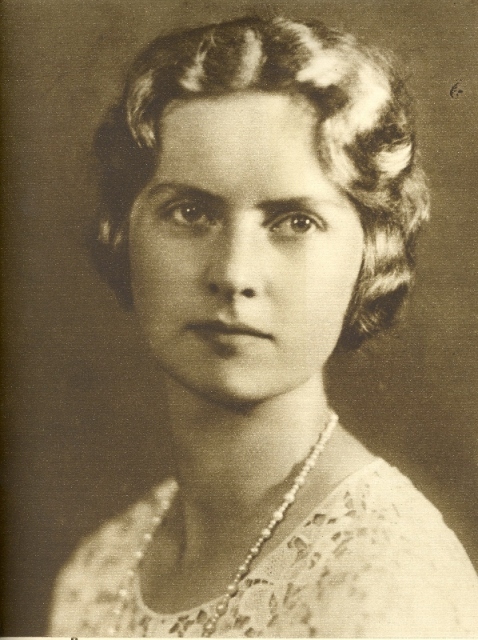 There had to be more background history on her, so I started to do some snooping and came up with Princess Sibylla of Saxe-Coburg and Gotha, the mother of the current King of Sweden, Carl XVI Gustaf. 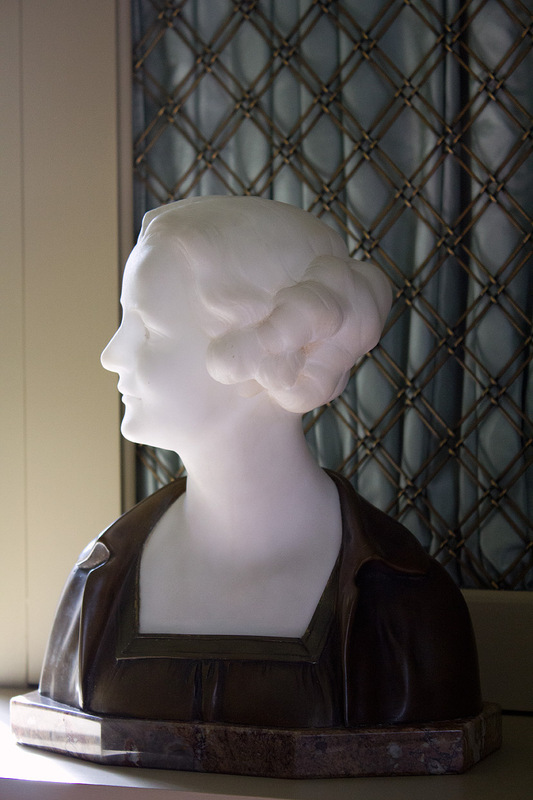 She would have been approximately twenty years of age at the time this bust was created, and her likeness in the photos that I came across looks so very similar to it. You can see for yourself here and here. There is a really good chance that I’m completely wrong, but I did have fun researching. 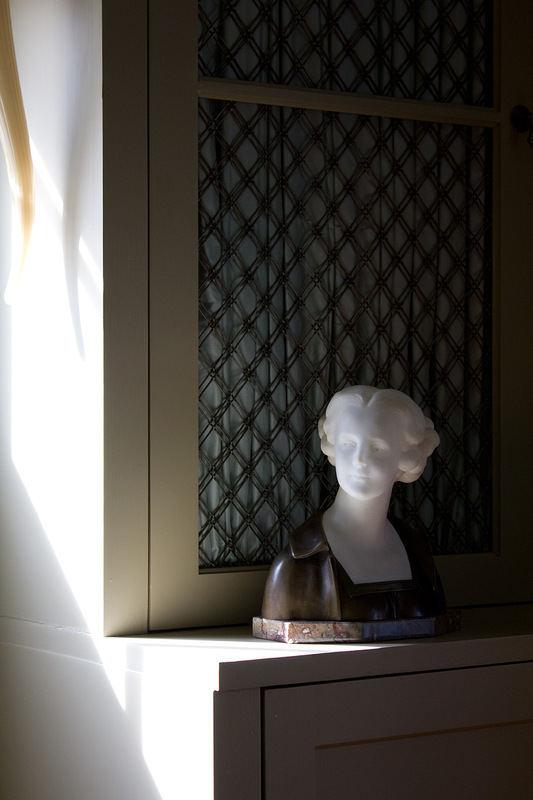 I have placed her near the window because of the way her head is turned, as if trying to look out.